I took this picture of the little work shed that attaches to my doomed carport. I have 2 license plates in there, both worn by my 1987 Acura Integra LS 4 door hatchback. 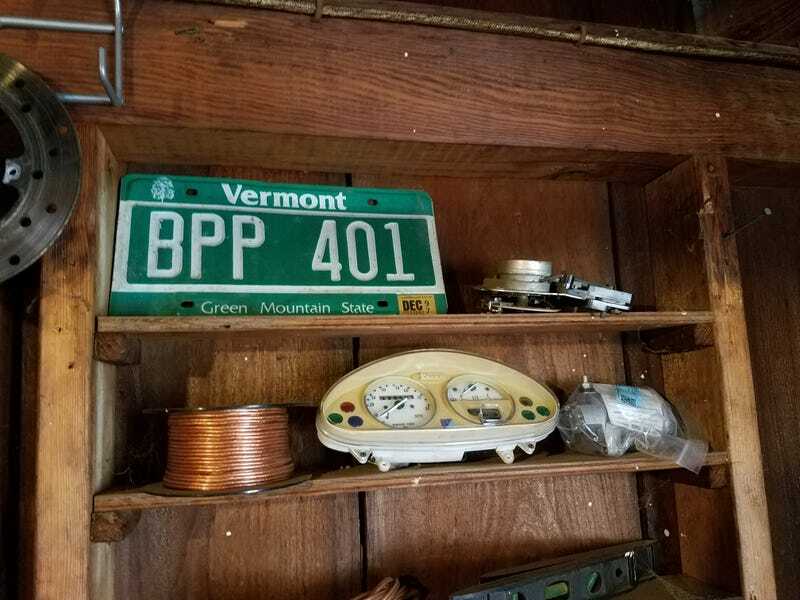 (RIP) It wore the Vermont plate in law school, and I left in spring of 1997, before the tag was up. It was so beat when I got rid of it, almost nothing worked. The driver side power window would not close all the way, but that was ok, because only hot air would blow from the vents. Its alloy wheels were long since gone, and it sported a sweet (cheap) set of steelies. It was covered in dents, scratches, and cracks, and after a couple of years in Vermont, probably the beginnings of some nasty rust, as I never washed it. Have you kept remembrances of your old cars?